Almost all of my best thinking is done either when I’m riding my bike, or during the malted recovery beverage consumption which often follows. 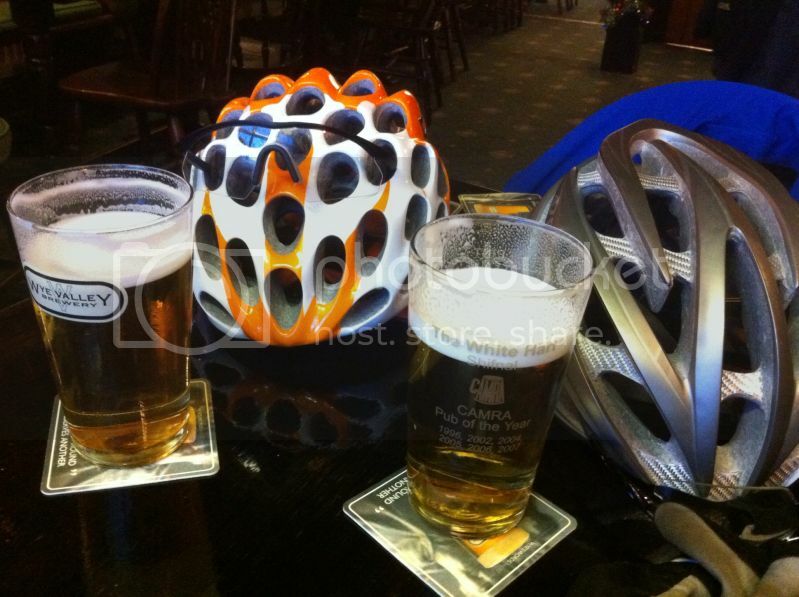 It was during the consumption of the fine ale in the picture above that I had the idea to list my favourite rides of 2012. Many great ones have missed the cut, but here’s my top 10, with a few words to describe what made them so special. 10 – The Shifnal Cycling Society Summer Social Ride; A summer’s day, the lanes of Shropshire and Staffordshire, and a social ride with friends. What more could you ask for? 9 - The Summer Solstice Century Ride; To mark the longest day of the year we devised a simple plan, complete a metric century, and then drink beer. A match made in heaven! 8 – Project 330; This was all Martyn’s idea; He threw the gauntlet down early in the year to cover 100km in under 3 hours and 30minutes. Date selected, route chosen, it was time to pedal! A great night and in the end we made it with time to spare. Will we beat our time in 2013? 7 - An Mtb ride with my eldest daughter; If there’s anything nicer than watching your kids enjoy the simple pleasure of riding their bike, I’ve yet to see it. 6 – Shifnal 2 Parkend/Brian’s Last Stand; The first a2b entry on the list was a ride from Shifnal south to meet the rest of the family deep in the heart of the Forest of Dean. A great day in the saddle, made all the more poignant by saying goodbye to an old friend. 5 – The Cambrian Challenge; A ride across Wales in the Dark. Starting from Ironbridge at midnight, and arriving in Barmouth for Breakfast. Riding along the estuary towards Aberdovey as the sun came up was a truly magical experience. 4 – Shifnal 2 Goosnargh; My in-laws live in Goosnargh just outside Preston, and when the opportunity arose to ride up there instead of using the tin box, I grabbed it. Another epic day in the saddle. 3 – The Welsh Epic; 13 hours riding, and 314kms covered. The Moon lit both the start and end of this most epic day of cycling. From Shifnal to Aberdovey, and then back to Shifnal. Just awesome! 2 – The Velominati Shropshire Hills Cogal – Would anyone turn up to this ride? Organized for the web based community Velominati, I could never have imagined things turning out so well. You can read all about it here. 1 – The Alpine Cogal – Riding in the wheel tracks of the greats of this great sport. 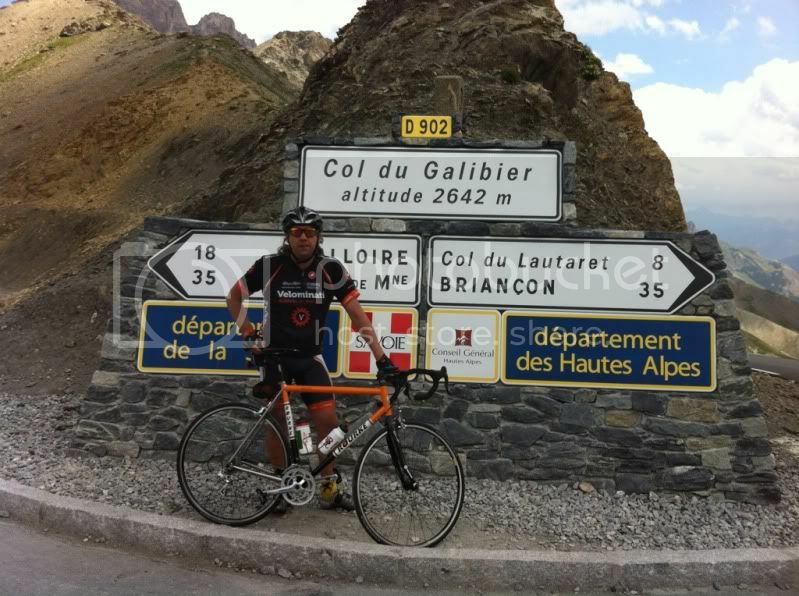 A triple whammy of the Col du Telegraphe, Col du Galibier, finishing off with the Col Du Glandon. A post ride beer has never ever tasted so good! What a year of cycling, and the list could have been so much longer. I’m not sure how I’m going to top this in 2013, but I’ll certainly be giving it a good go!